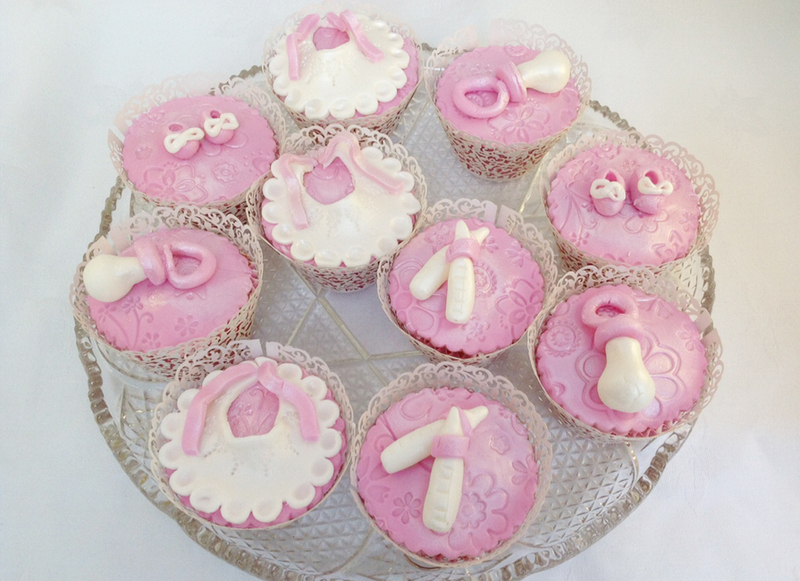 All of our cupcakes receive equal amounts of love and attention – whether the batch is for a dozen baby shower treats or a hundred wedding party cakes. 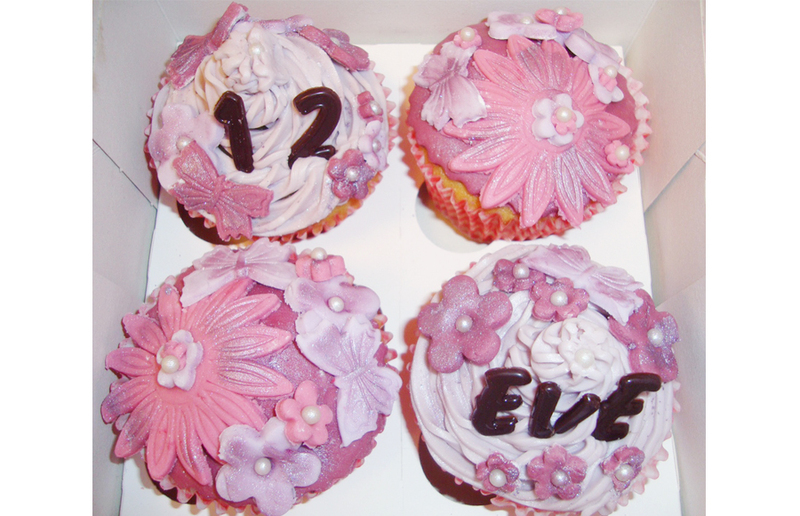 With a huge variety of flavours and decorations to choose from, cupcakes make an attractive and tasty addition to any occasion. 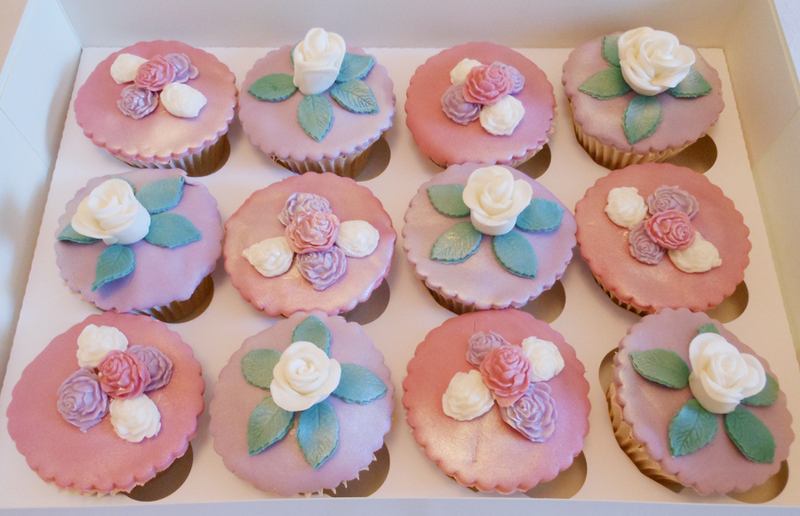 Made with individual sugar flowers and buttercream icing. 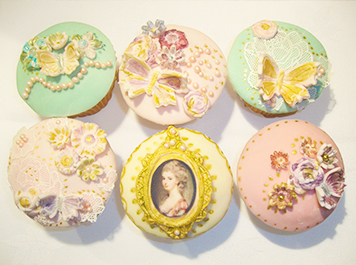 Individually iced with pearl, lace, flower and cameo decorations. 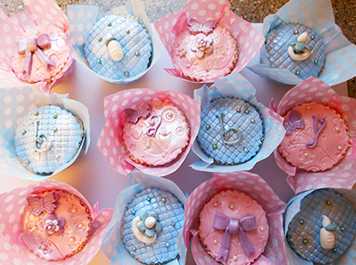 Baby shower cupcakes with quilted icing and a variety of ribbon, flower, pearl and letter decorations. Pink raspberry flavour cupcakes with handmade icing decorations. 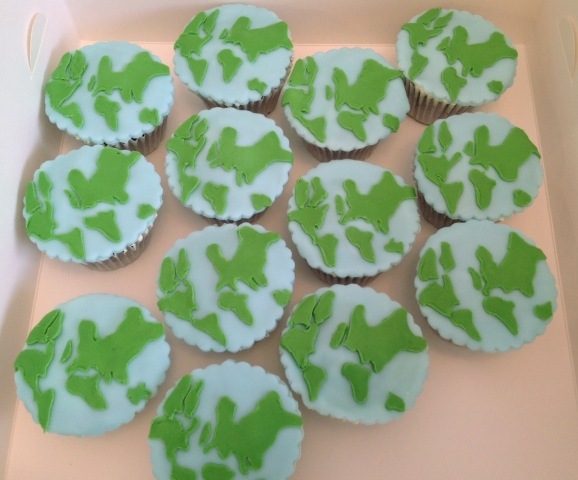 Red velvet cupcakes embellished with hand-cut world map icing. 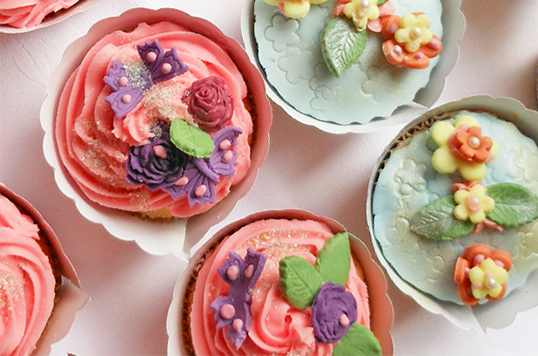 Fruit filled cupcakes decorated with shimmering icing and handmade flowers. Lemon and raspberry flavoured cupcakes with floral icing decorations. 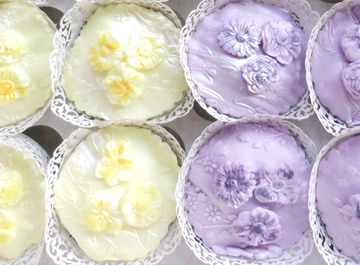 Individual chocolate cupcakes with handmade flowers and chocolate decorations.